1969 Cadillac Miller - Meteor side loader owned by Matt & Tina . Retired after 20 years of service at a local funeral home, it sat for a couple of years before we bought it on October 29th, 1992. 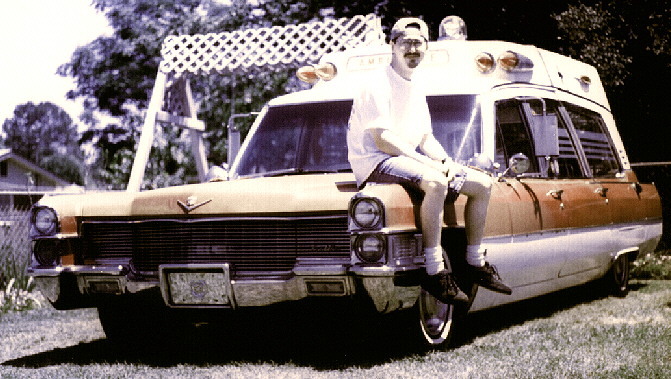 1967 Cadillac Superior Crown owned by Chris "Digger" Curtis. 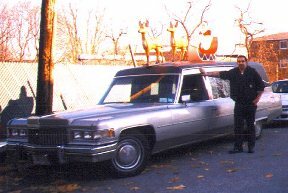 Happy Holidays from Sonny pictured here with his 1975 Cadillac Superior. 1996 Harley Davidson Heritage Softail Classic owned by Patrick Magri of "Dream Legends". 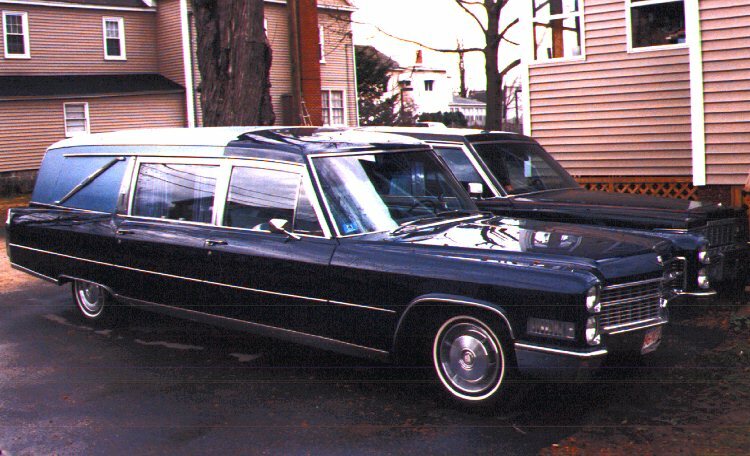 1970 Cadillac Hearse side loader owned by Terry Hoffman . 1966 Cadillac Combination Miller-Meteor endloader owned by Dave Strong. 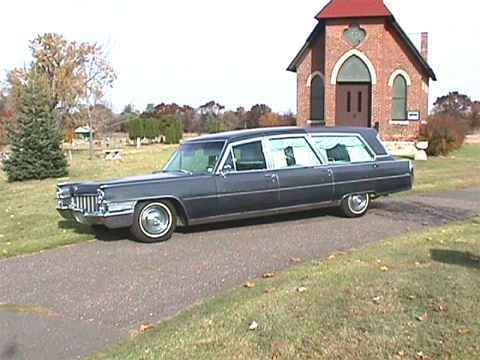 Dave also writes the "Hearse Enthusiast". 1969 Cadillac "Stiff City Warrior II" owner by John Dunn. 1770 Funeral Coach, originally horse drawn, owned by Ron Heitman. 1966 Cadillac owned by John. 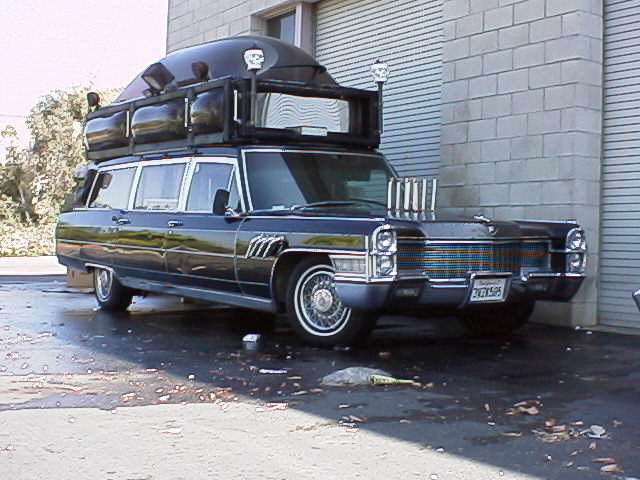 It was converted into a limousine "mobile disco" in the seventies. 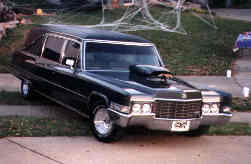 1980 Buick Supreme Endloader Hearse by B&B owned by Perry Claeys. Purchased in May of 1999 from West Lafayette, Indiana this 1965 Cadillac Superior Combo owned by Larry Agema is in original condition. Red beacon ray mounts on roof and the car features a motor driven siren behind the grille. 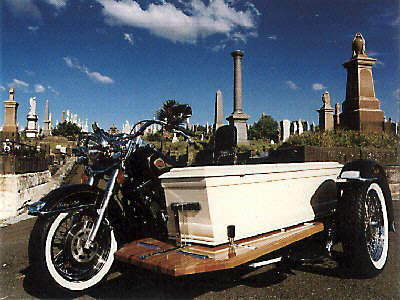 Came complete with ambulance cot but as far as can be determined it was always used as a hearse, not an ambulance. 1968 Oldsmobile Ninety Eight Cotner/Bevington owned by Pat Ellwood. This photo was taken right where it was found. In the junkyard. Pat is in the process of restoring it. 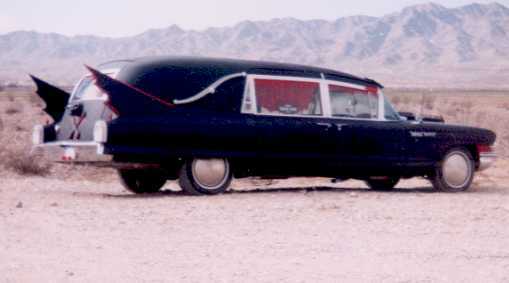 "AFTERDEATH" 1962 Cadillac M&M 3 way Hearse, "SKULL" DeVILLE. Used in the movie "MONSTER SQUAD". Formerly owned by Hew McDowell of "ELO". Powered by a 94' Chevy Vortex 350 Motor-TH 400 Trans . 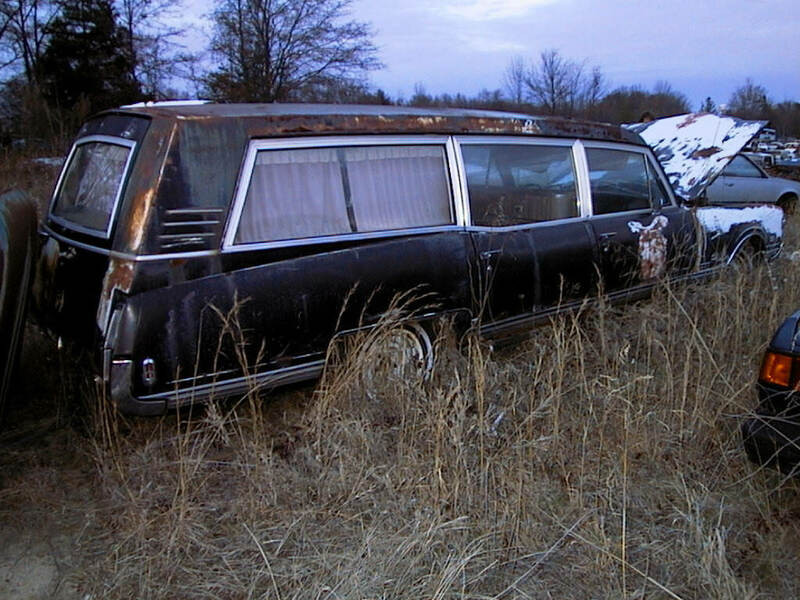 Owned by "Skull", member of Phantom Coaches Hearse Club.